When it comes to cheese cake, first thought that comes is sweet and delicious creamy heavy dessert. But here is a twist, I used veggies along with few dried herbs. 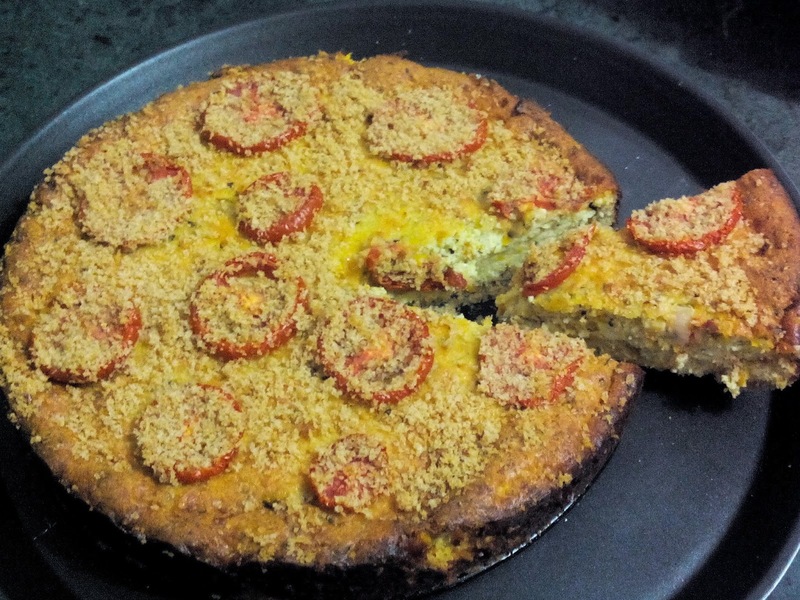 This veggie Cheese cake is made up of three cheeses. 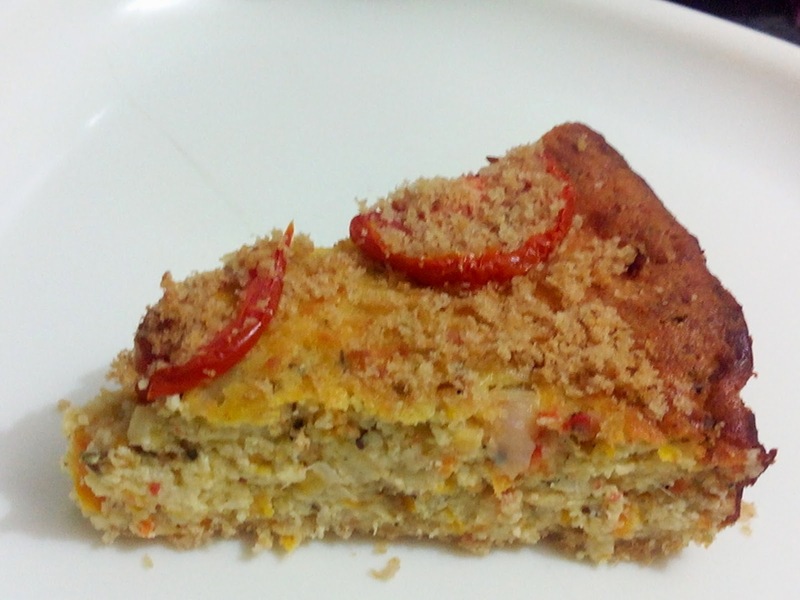 For more details see the recipe below :)...and you too can enjoy this easy delicious veggie cake. 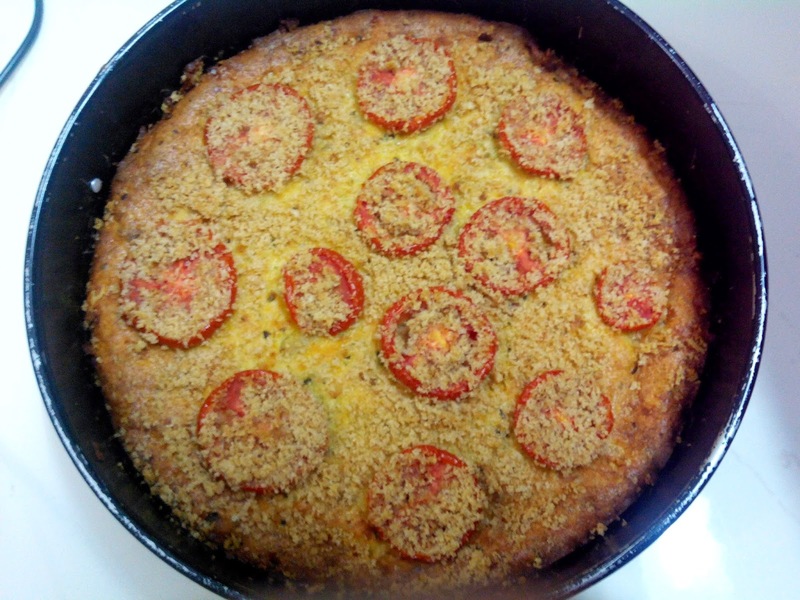 1) Grease spring form pan with butter or olive oil and spread bread crumbs all over. Refrigerate for 30 minutes. Mean while, grate zuchhini (Tori/turai), salt lightly and let its excess moisture strained ( keep aside for about 15 minutes). 2) In a pan saute chopped onions in butter with pinch of salt, until translucent. 3) Now add Grated carrots, brocooli, zuchhini(Tori/turai), garlic paste, oregano, parsley, basil, Mixed herbs, lemon juice and flour. Stir for 8-10 minutes. Let it cool and come to room temperature. 4) Beat eggs, and slowly fold in all grated chesses (I use mixer for this) . Keep beating in mixer until all is mixed well and bit fluffy. 5) Now in this cheese mixture, fold all veggie mixture (make sure, veggies are cooled down, else eggs in cheese mixture will scramble). 6) Add grounded black pepper and salt to taste. Pour this whole mixture in spring form pan. Now bake this for 30 minutes at 200 degree Celsius in preheated oven. 7) After 30 minutes bring out for a minute and decorate cheese cake's top with tomatoes sliced in rings. Sprinkle bread crumbs on it. 8) Now reduce oven temperature to 180 degree Celsius and again bake for 30 minutes. 9) Once baked, let it stand for 15 minutes in oven. Than after Remove out and let it stand for further 10 minutes before serving.